Prince William revealed last night that he and Kate Middleton ‘could not be happier’ about the birth of their first child, a healthy son born at 4.24pm, yesterday, 22 July. The Duke of Cambridge released the statement to the press last night after it was confirmed that he would be staying the night with his wife and newborn baby. 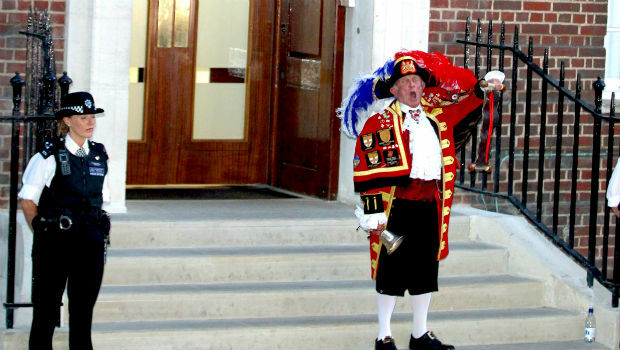 News of the royal baby boy’s arrival was broken on a press release via email in a sudden change to Kensington Palace’s plans as the night drew in. Sky News’ Paul Harrison read out the press release in front of cameras outside the Lindo Wing of St Mary’s Hospital along with hundreds of international reporters. 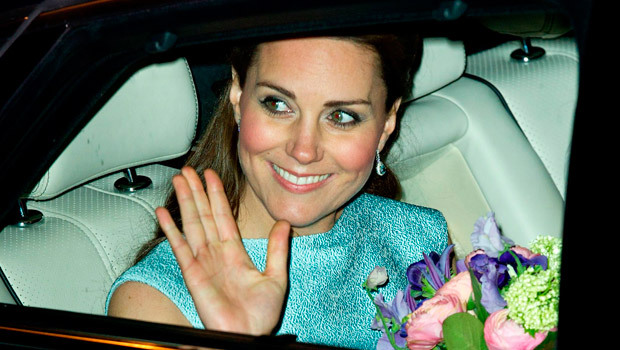 He told us the Duchess had given birth to a healthy baby boy weighing 8lbs 6oz. 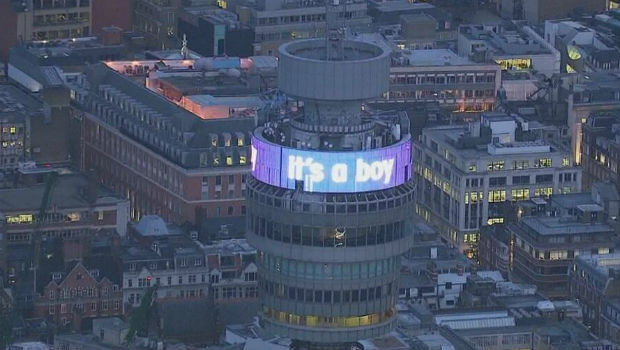 Within moments, London was celebrating, with crowds gathering outside Buckingham Palace and landmarks across the capital lighting up in shades of blue to celebrate the future King’s arrival. 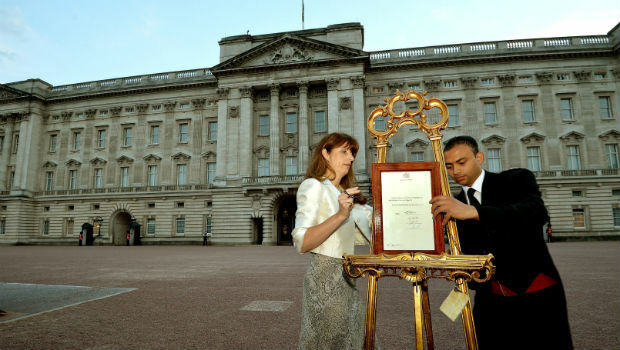 An easel displaying the all-important birth notice remains outside Buckingham Palace. Later today, there will be gun salutes across London – the King’s Troop Royal Horse Artillery and the Honourable Artillery Company will both carry out the ceremonial salutes in honour of the new addition to the Royal Family. The name of Kate and Prince William’s newborn son has yet to be announced, but they are expected to emerge from the hospital today and show us the very first glimpse of their baby boy. We can’t wait to see him!